Masjid Al Jinn is the place about which the chapter of the Qur’an called Surah Al Jinn was revealed. This is also the place where the Jinn came in their large numbers to accept Islam at the hand of the Prophet (Peace and blessings be upon him). We are pleased to announce that the list of people stocking our book ‘The Young Explorers’ Adventures in Makkah’ is gradually growing Alhamdu Lillah. You can currently order our books from the suppliers below. It was here in Mina that Prophet Ibrahim (Peace be upon him) brought his son Isma’il (peace be upon him) to be sacrificed following the dream that he had seen. 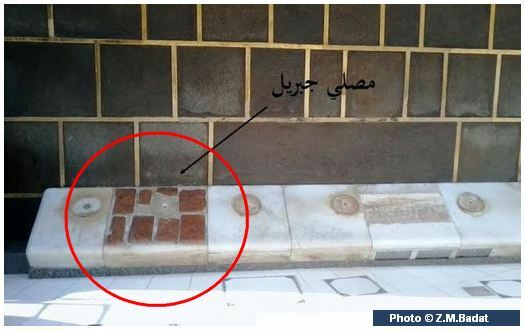 It was also here that Shaytan (Satan) tried to tempt him away from his determination to sacrifice his son so he pelted Shaytan with pebbles at three different locations. 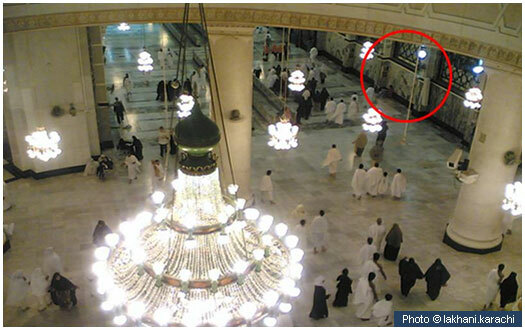 These locations are marked by the 3 large pillars known as the Jamarat. Pilgrims, to this day, stone the pillars in recognition of the act of Ibrahim (Peace be upon him). The three Jamarat pillars, are known in turn as: Jamarat al Ula, Jamarat Al Wusta, and Jamarat al Aqaba. The pillars are a symbol of what happened during the time of Ibrahim (Peace be upon him). Sometimes some of the pilgrims get a little over excited and start throwing rocks, shoes, sandals, umbrellas, sticks and all sorts at the pillars thinking that they are hitting Shaytan. We must never do that because that could cause harm and injury to the other pilgrims and that is not within the spirit of the Hajj. If you are going to visit the holy city of Makkah to perform the Hajj or Umrah, do not forget to take this unmissable guidebook with you about the historical sites in and around Makkah. Books will be dispatched within 2 working days of order being placed via 1st class post. Please let us know when books have been received, and if possible share a photo of the book with your friends and family on social media. For those that don’t have Paypal, payments can me made via bank transfer, or you can pick up directly from us if you live in East London. Please email us for details. There is also an eBook Edition available in the Kindle Store. 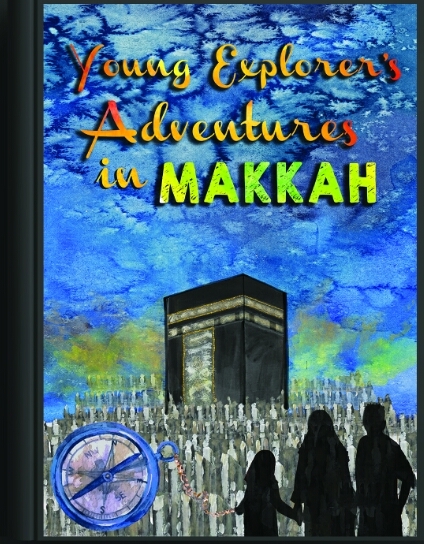 Search ‘The Young Explorers’ Adventures in Makkah’ in the Kindle Store. Wholesale orders are also available. Please contact us on mail@islamopedia.co.uk for info and discounts. I would love it if you had a look and shared the above with your circles to help me spread the word. So … I have decided to write a book, insha Allah. It is on the topic of the Sacred / Historical Sites in Makkah and Madina. 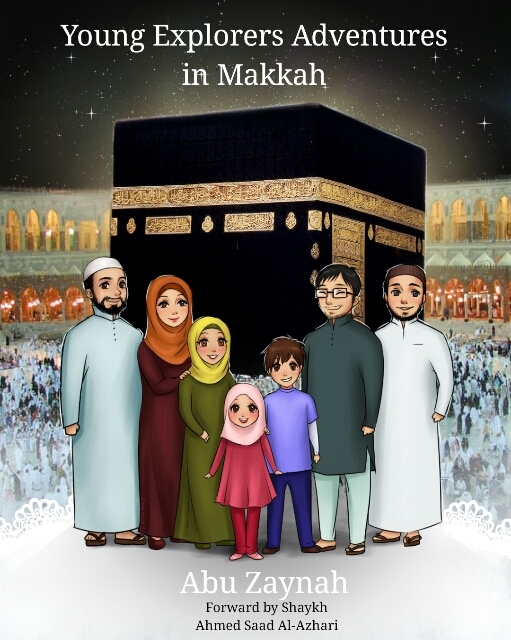 The book is aimed at young readers and will be told as a story of 3 young people on an epic Journey through the holy lands of Makkah and Madina. Muzdalifa is a valley between ‘Arafah and Mina. Stretching just over 4 kilometres long, it is where the Pilgrims gather in the night of the 9th of Dhul Hijjah after having spent it’s day in ‘Arafah. Pilgrims spend the night here and many of them collect their pebbles for pelting the Shaytan at the Jamaraat. There is a Masid here called Masjid Mash’ar Al-Haram which is located on the spot where the Prophet (peace be upon him) supplicated in response to the injunction of the above verse from Surah Al Baqarah 2:198. Muzdalifa is also known as Al Jam’, meaning joining or gathering, because it is where the pilgrims join the Maghrib and ‘Esha prayers. It is also known by this name because it’s a place of gathering. 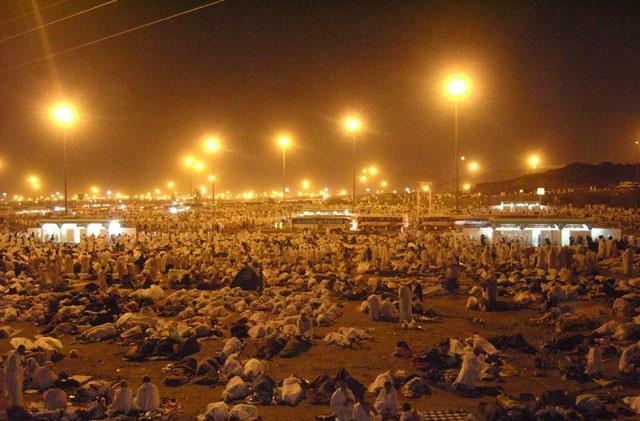 ‘Arafah or ‘Arafat is a plain of land approximately 22 kilometres from Makkah. It is here that the pilgrims spend the 9th day of Dhul Hijjah standing in Worship, Dhikr and Du’a. The Hajj is not complete without the standing on ‘Arafah and therefore all pilgrims must spend a portion of the day on the 9th of Dhul Hijjah at the plain of ‘Arafah for their Hajj to be valid. The day of ‘Arafah is the greatest day in the Islamic Calendar as it is on this day that Allah (SWT) forgives more people than he does in the entire year. There is a Masjid in ‘Arafah called Masjid Namira and it is located on the site where the Prophet (peace be upon him) camped for a while before entering ‘Arafah and where he delivered his farewell speech. 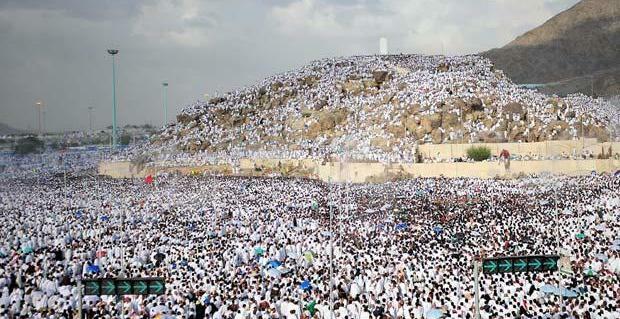 ‘Arafah also has a small hilltop known as Jabal Rahmah and it is at the foot of this hill where the Prophet (peace be upon him) is reported to have prayed and made Du’a during his standing in ‘Arafah.